Hi. I'm 14. BTW I am new to the fandom. Hey, im 13, i became a brony last month. Nice to meet ya! I am not exactly sure what to discuss about. I came here to find some other fellow bronies to chat with. So when did you join the fandom? i joined the fandom because, i was just watching a random mlp video, then liked it, then watched an episode, not too shabby, then look at me now. how about you? Even though I am new to the fandom and only joined a few months ago I have had a long history with MLP that dates all the way back to when I was 3 (2007). The first time I was introduced to the franchise was 2007 when my sister watched generation 3 of MLP. at the time I had very little interest in the show (Probably because G3 was terrible) and I mostly forgot about the series. My next encounter with my little pony was in 2014 when my Mother was trying to get my sister into the 4th generation of the show and I of course saw the show too since I tended to watch whatever my sister watched at the time. While my sister never truly got into my little pony, I on the other hand showed a lot of interest in the show, but I thought I was a rare exception for a boy liking the show ( at the time I didn't even know what a brony was ) so I just ignored that I liked the show. my next encounter with MLP came up in June of this year when in my Netflix recommendations was my little pony. at this point I was had found out about the brony fandom, and seeing how I had liked the show when I was little I decided to give the show a chance and to my surprise the show was even better than I remembered. 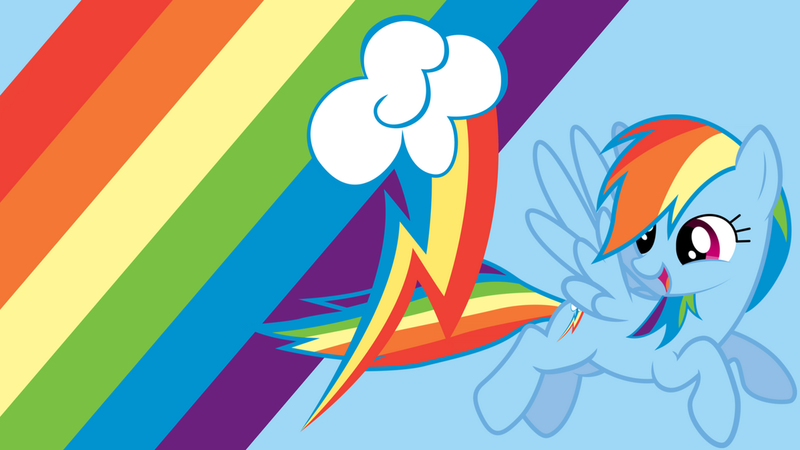 After getting into MLP I started to watch fan animations and eventually Joined the fandom. Currently I am on season 5.
Who is your favorite character? 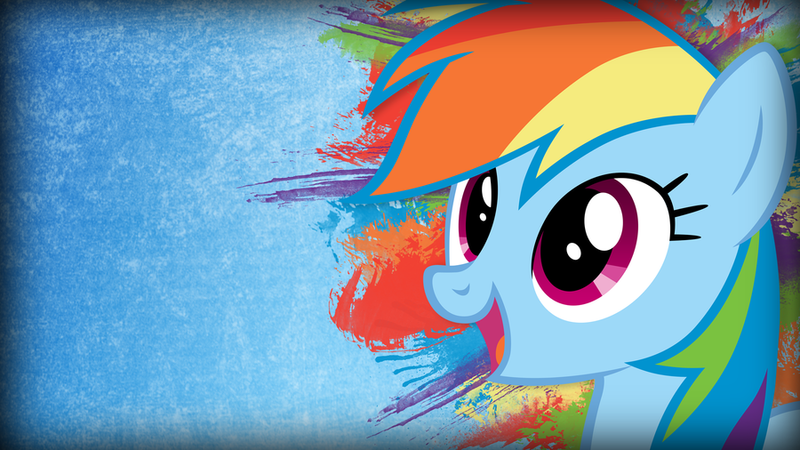 Mine is Rainbow Dash because she reminds me of myself and I like her personality the most. 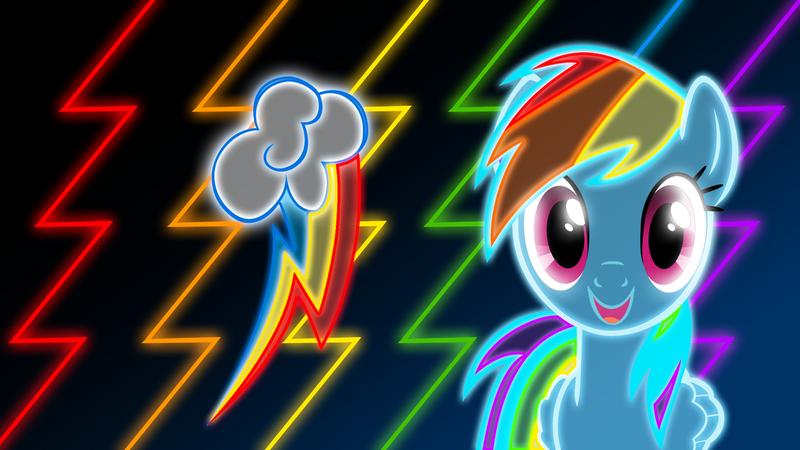 why is rainbow dash your favorite? My second favorite would probably be Twilight Sparkle because Twilight is also a very likable character. This is what I have for my wallpaper on my PC. What do you think of it? Wow, thats pretty epic! did you make that? I didn't. that would be way to hard for me to do. I actually found it on Deviant art. I also have found a few other ones I think you would like. Do you want me to show you them? Sure! i guess i can see more pics.